[dwarf nova] PNV J18422792+4837425 | KAO blog. 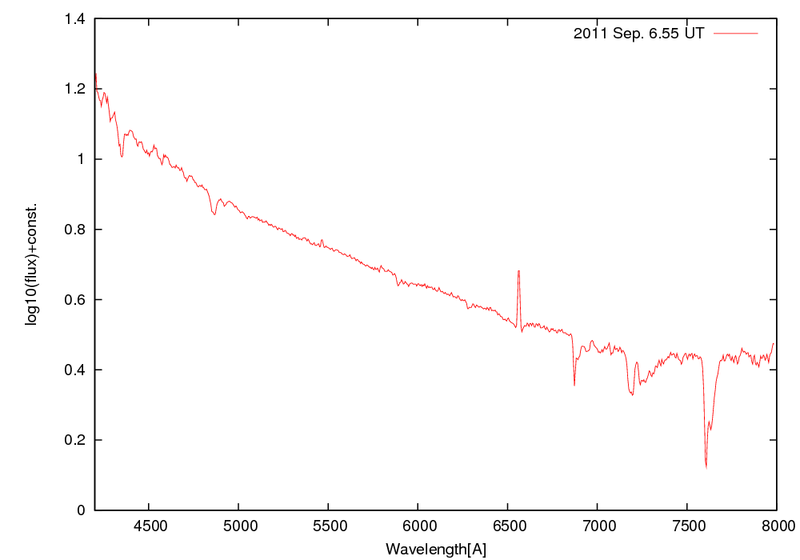 We performed low-resolution optical spectroscopic observations of PNV J18422792+4837425 on 2011 September 6.55 at Koyama Astronomical Observatory. The spectrum shows Balmer series lines on a blue continuum light. 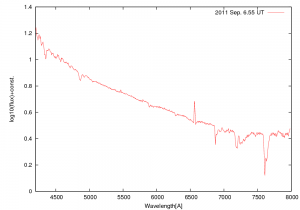 The H-alpha line clearly shows a strong emission feature (E.W. about -300) in its absoption component. The H-beta and H-gamma were dominated by absorption components. These results indicates that the object would be a dwarf nova duirng its outburst.